The information will include data on what services doctors used, the average amount they charged Medicare and what they were paid. Doctors have fought such disclosures in the past. Federal officials said they planned to release reimbursement information on April 9 or soon after that would show billing data for 880,000 health-care providers treating patients in the government-run insurance program for elderly and disabled people. It will include how many times the providers carried out a particular service or procedure, whether they carried it out in a medical facility or an office setting, the average amount they charged Medicare for it, the average amount they were paid for it, and the total number of people they treated (Radnofsky, 4/2). Patients may soon get an unprecedented look at how their doctor compares to other physicians, after Medicare announced Wednesday it plans to publicly post billing data for more than 880,000 practitioners. Considered the mother lode of information on doctors, the Medicare claims database has been off-limits to the public for decades, blocked in the courts by physician groups. The American Medical Association has argued that its release would amount to an invasion of doctors' privacy. Consumer groups, insurers, employers and the news media have sought the information to help them evaluate clinicians (Alonso-Zaldivar, 4/2). The Obama administration announced Wednesday it would for the first time release data about health-care services provided by doctors who participate in Medicare, in what officials hailed as a major step toward making the health-care system more transparent and accountable. As early as next week, the administration plans to release information about the number and type of health-care services delivered by more than 880,000 physicians in 2012, as well as how much Medicare paid them for the services. Together, those physicians collected $77 billion in payments through Medicare (Somashekhar, 4/2). Medicare said on Wednesday that it planned to make available to consumers and others detailed information on what it pays individual physicians as soon as next week, despite the long-term resistance by the American Medical Association and other group (Abelson, 4/2). Medicare, the U.S. health plan for the elderly and disabled, for the first time will release data on its payments to about 550,000 individual physicians. The U.S. Centers for Medicare and Medicaid Services informed the American Medical Association in a letter that the data would be released April 9 (Wayne, 4/3). The Obama administration will open the books next week on what the government pays doctors through Medicare, a first-of-its kind data release that will provide an unprecedented view of spending in the health insurance program for seniors. 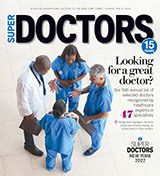 CMS plans to provide a detailed account of $77 billion in payments made to more than 880,000 physicians in 2012. It will list procedures performed by individual doctors, how much they charged for them and how much they were reimbursed by the program — a total of 10 million lines of data (Norman, 4/2).